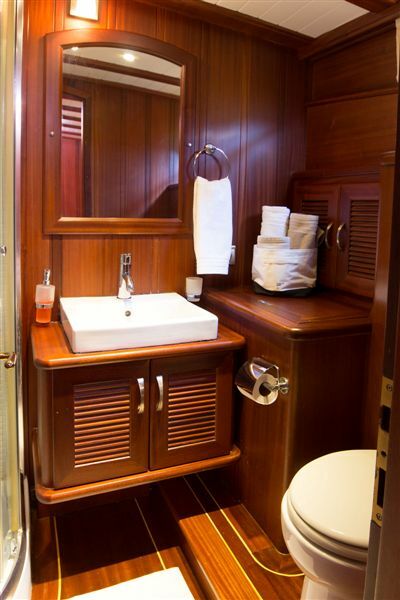 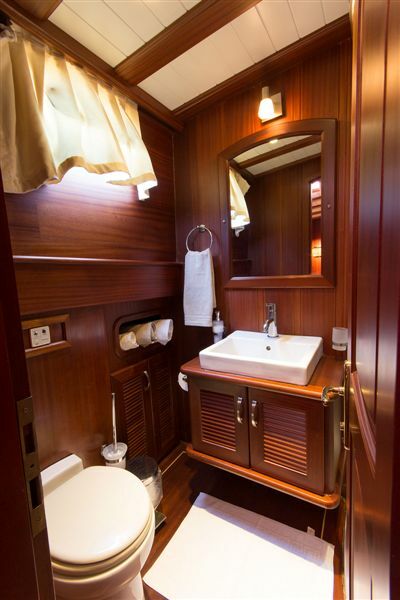 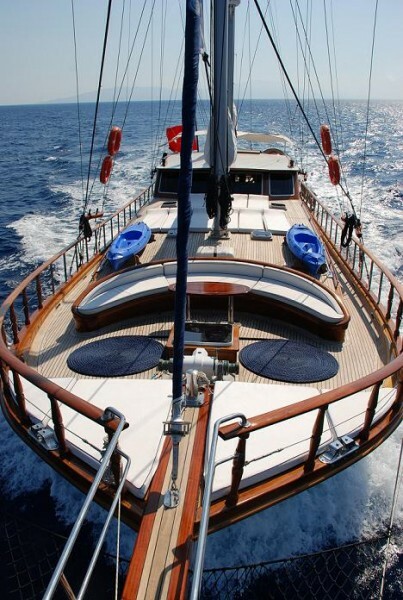 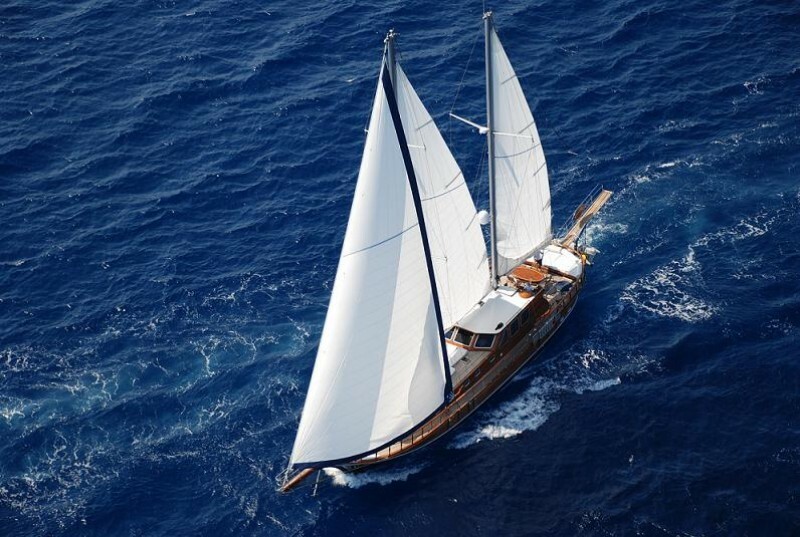 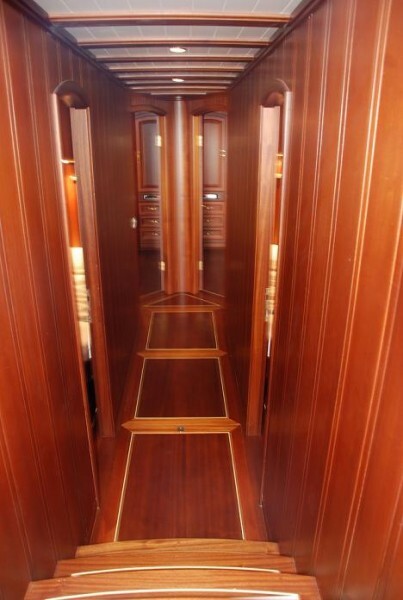 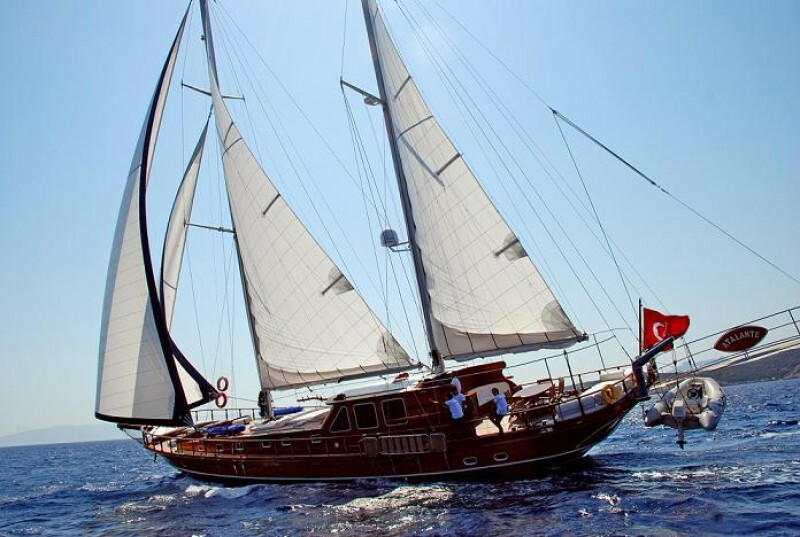 The deluxe gulet Atalante is a modern take on the classic traditional gulet of Bodrum, built with fastidious attention to incorporating modern fittings and technology with traditional styling. 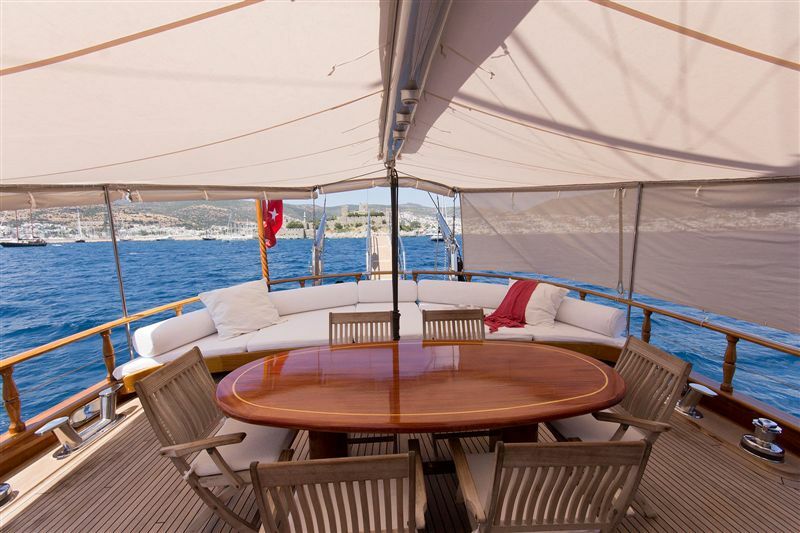 The result is a delightfully understated but luxurious sailing charter yacht with the priority being the guest’s comfort and enjoyment. 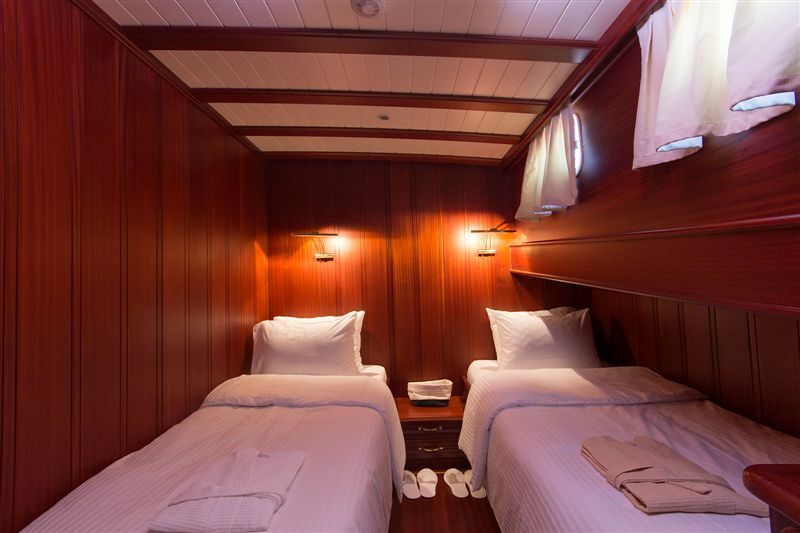 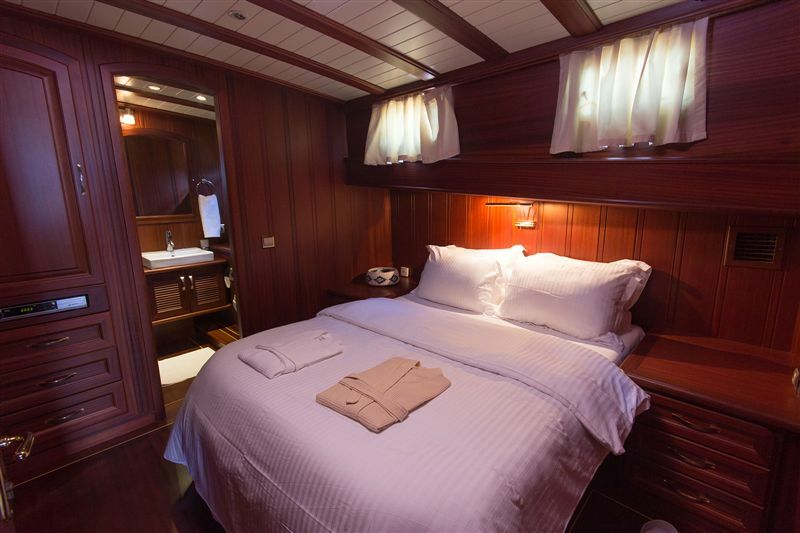 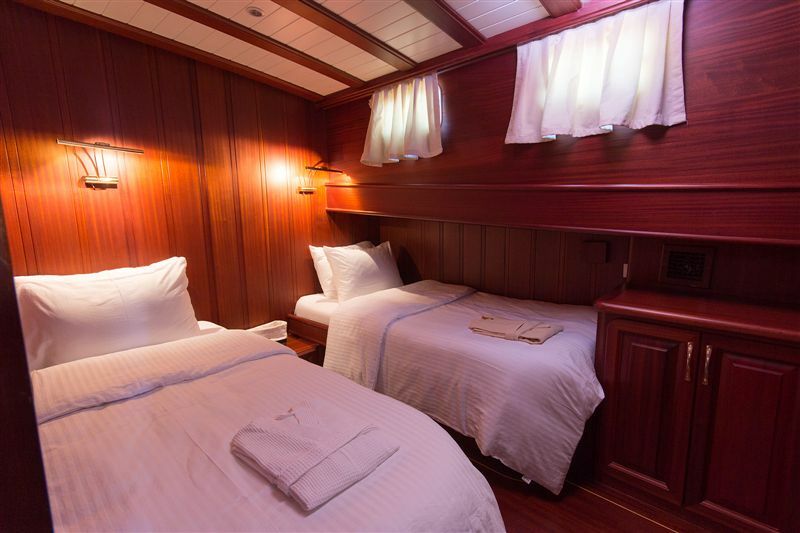 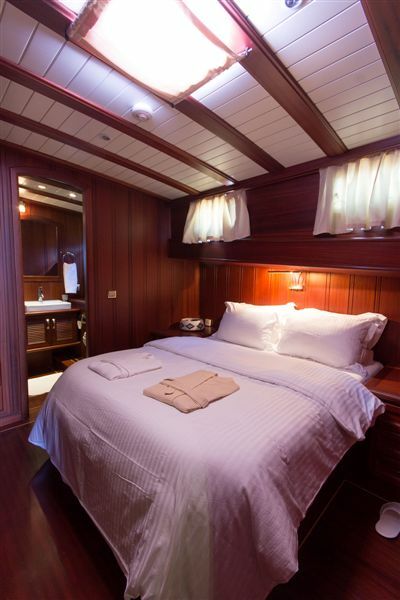 Four cabins of two large cabins with king-sized beds, and two twin cabins which can be converted to double beds, have individually controlled air-conditioning, mini bar, TV/DVD and music systems, and en suite shower bathrooms with hairdryers. 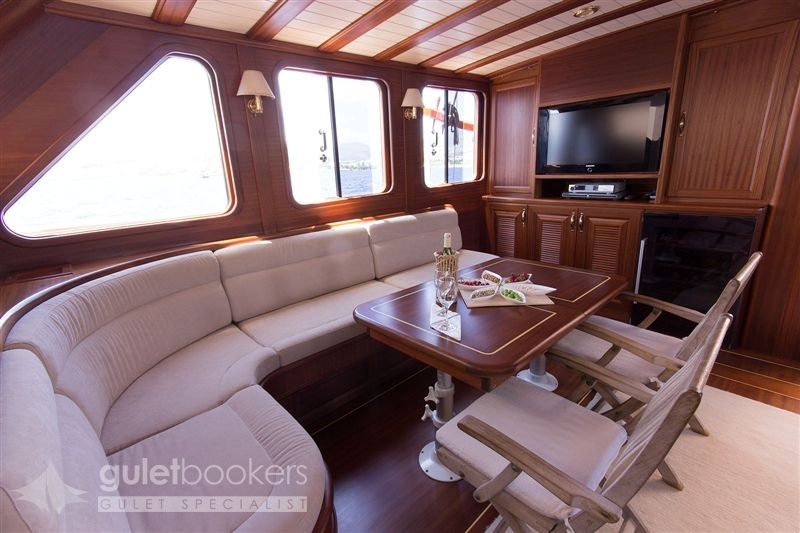 The communal indoor saloon has a cosy dining table seating nook and a large TV/DVD and music system. 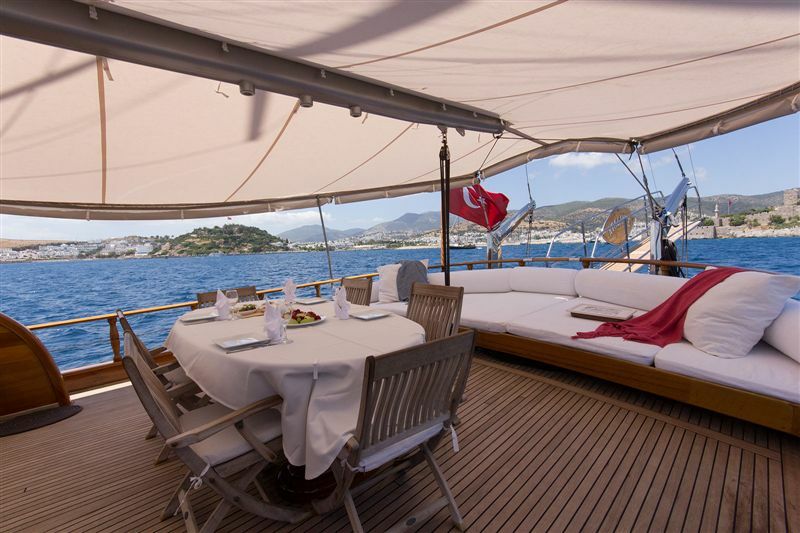 Life on deck is the real pleasure of a cruise on the Atalante, pampered by the captain, cook and two crew members who will see to guests enjoying meals of excellent Turkish cuisine on the outdoor table on the aft deck shaded by the awning, or lazing on the shaded wide cushioned bench perfect for reading, chats, and play. 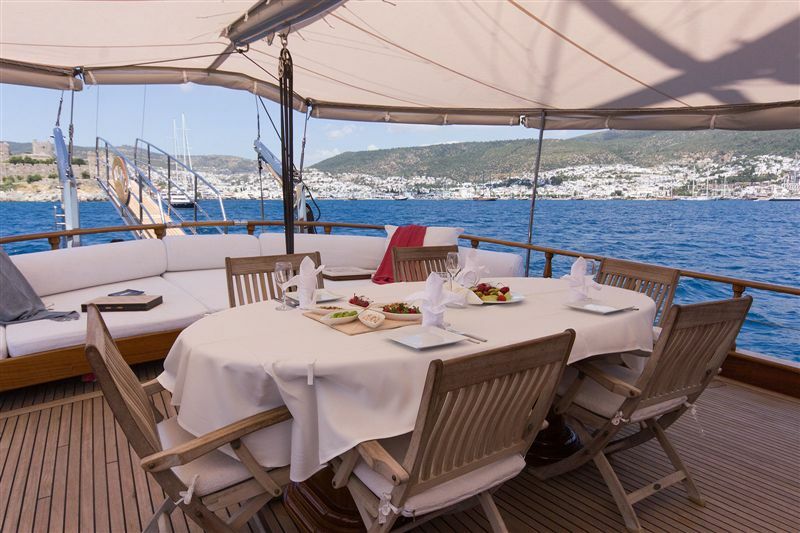 The crew bring drinks to the fore-deck which sports room for individual sunbeds and the wonderful curved seat ideal for pre-dinner drinks, star-gazing or admiring the passing scenery of the Aegean. 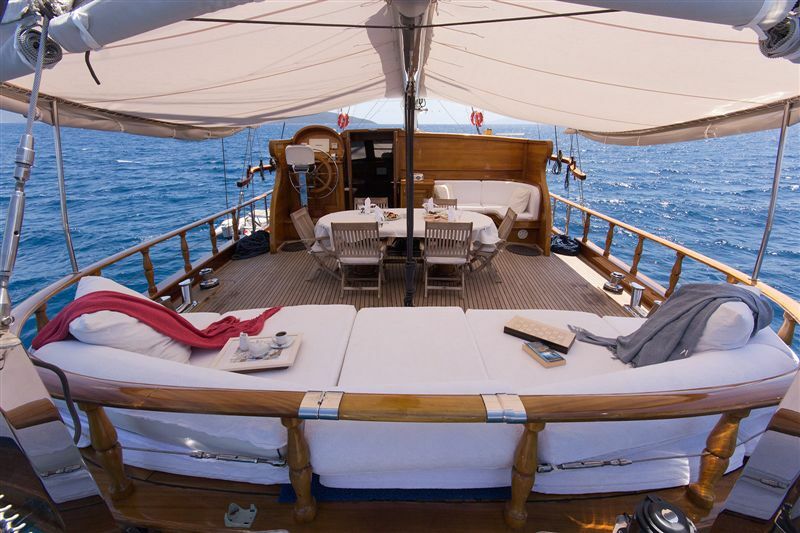 The highly professional crew on Gulet Atalante , who have their own quarters, will see to preparing and presenting excellent meals, cleaning, sailing and assist the guests in their activities, preparing the canoes and water toys or running guests ashore for exploration. 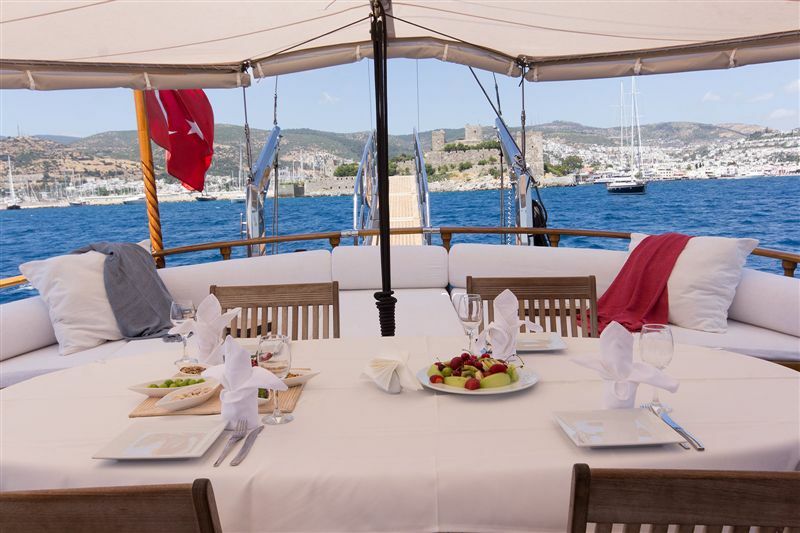 A cruise on the gulet Atalante along the Turkish coast or amongst the Greek Dodecanese islands will be a memorably luxurious experience.